U.S. DOD Coins believes that the superiority associated with challenge coins is not considered as often as it should be for recognizing our everyday heroes. Stressful and dangerous occupations like being a police officer or in law enforcement make it possible for us to lead our everyday lives. Without them, the structure and safety of our society would, without a doubt, suffer or even diminish. The taking of first steps, like graduating from the police academy, is a celebration for which law enforcement challenge coins are ideal. Likewise, years of police service, advancement through the ranks and retirement also present perfect opportunities to create unique police coins. As far as individual accomplishments are concerned, personalized coins add to the sentiment of the occasion and aid in preserving the memory. 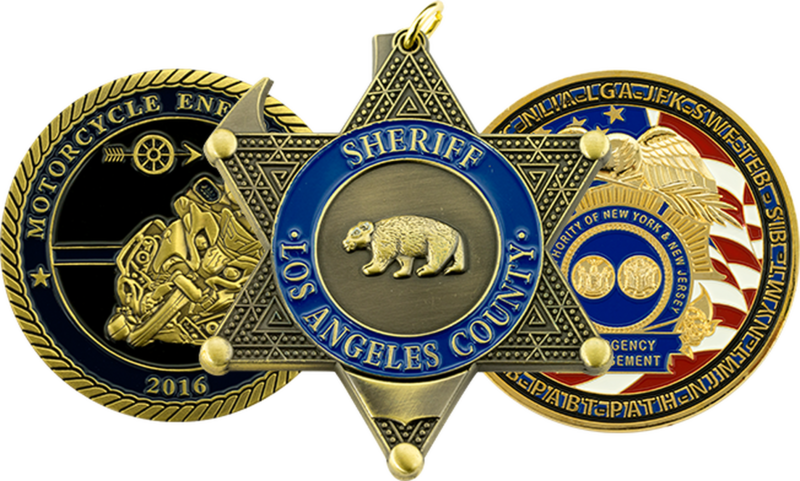 No matter the reason, the creation of police challenge coins should be left to a leading coin maker who not only specializes in the field, but also exclusively delivers high quality custom challenge coins to the individuals and organizations that are always fighting on our behalf.